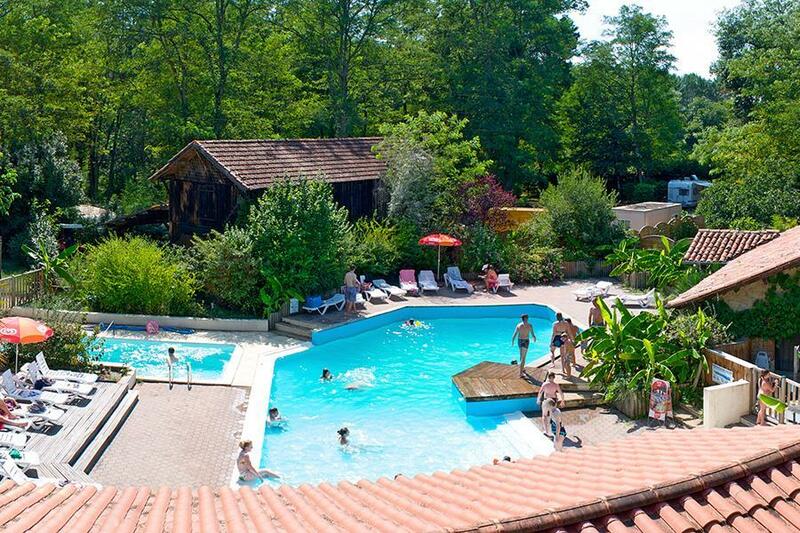 Auf Camping Le Pin in Saint-Justin (Landes) campen Sie mit der CampingCard ACSI in der Nebensaison schon für €16,- pro Nacht. Auf einem der 45 Tourplätze verbleiben Sie im Zeitraum 01-03-2019 - 07-07-2019 und 26-08-2019 - 30-11-2019 mit Rabatt. Auf diesem Campingplatz wird außer der CampingCard ACSI auch die ACSI Club ID (Legitimationsersatz) akzeptiert. Zwischen Eichen und Tannen liegt der traumhafte Camping, wo man echt zur Ruhe kommt. Kinder können hier sicher und frei spielen. Neben dem Schwimmbad ist ein nettes Lokal mit gemütlicher Terrasse. Gratis WLAN (10 Minuten pro Tag). A really lovely campsite well run by a young family. Very friendly with clean facilities. Good restaurant and bar. Too early in the season to try the swimming pool but it looked good. Set in a nature woodland with goos sun and shade. Not highly manicured but that\'s the way we like it. We arrived at the end of the season, the weather was hot and sunny, but we weren't able to see much of it, as the trees were too high and shading. We found a small area of sun to sit in and moved with it as the sun went across the sky. The pitches were large, but unkept, I think the owners had given up as it was near the end of the season, this also could be why the water taps were turned off, after asking where do I get water, I was shown the water supply for the chemical toilet waste, not ideal. My wife wasn't keen on the shared showers and toilets, although with so few campers, she managed. Would we return? Perhaps not. Möchten Sie Camping Camping Le Pin buchen oder nähere Infos? Das geht über die u.g. Angaben oder über die Webseite des Campingplatzes. Der CP liegt zwischen Roquefort und St. Justin an der D626. CampingCard ACSI schickt Ihre Info-Anfrage an "Camping Le Pin" durch.